At 31 August 2017 Ubuntu 17.10 "Artful Aardvark" Beta 1 released. This means you can download the ISO images and help test them. 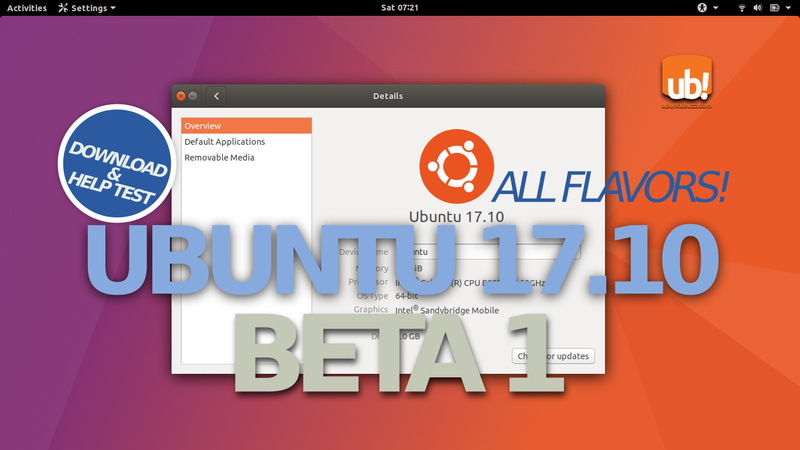 You can find the official announcement by Martin Wimpress (on behalf Ubuntu Release Team) at ubuntu-release mailing list. Beware, normal users should not use these Beta version because they're meant for developers & testers, unless you install them on a dedicated machine (a PC or a virtual machine). Note: use zsync to save your bandwidth or while nobody uses torrent to download them. 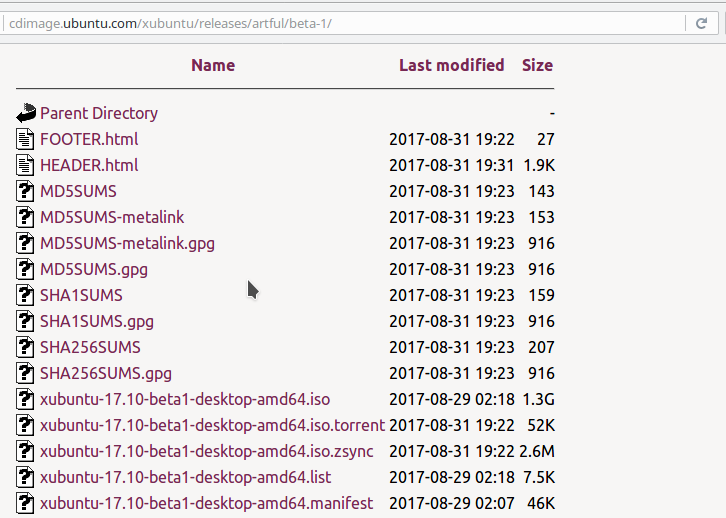 https://lists.ubuntu.com/archives/ubuntu-release/2017-August/004202.html "Artful Aardvark Beta 1 Released!" 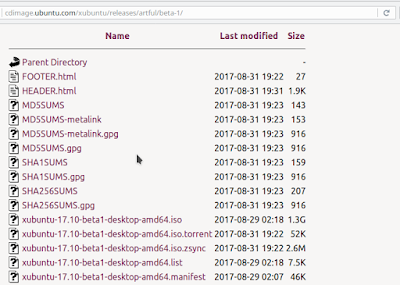 https://lists.ubuntu.com/archives/ubuntu-release/2017-August/004195.html "Artful Aardvark Beta 1?"